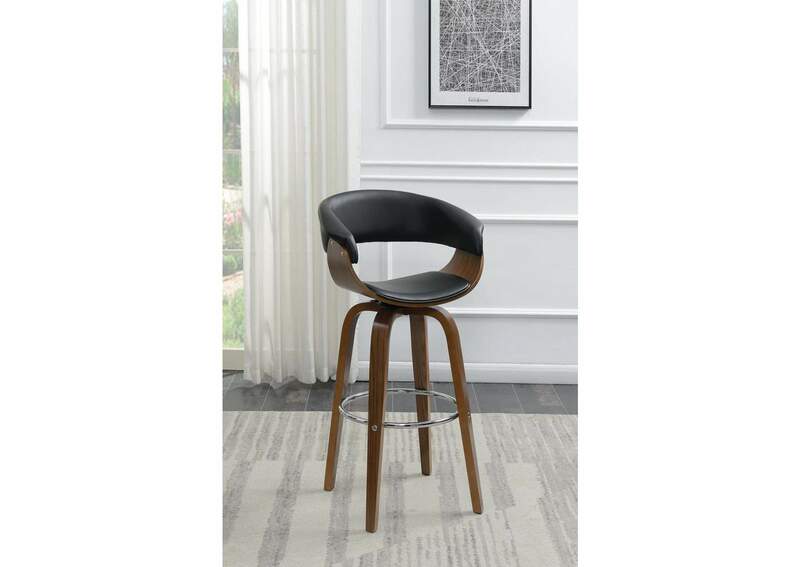 This trendy bar stool offers swivel seating in a mid-century modern design. Exposed, smooth walnut on both the seat and legs create movement and excitement. The back support and seat are contoured to perfectly support the body. A cushion on the seat and back upholstered in black, faux leather adds comfort. The back support angle is adjustable.